The online game Pokemon Go has taken a giant leap outdoors. The impact on gardens in the United States was immediate and not always pleasant. Roji-en fell victim to overly enthusiastic Pokemon Go players in the first days following release of the new game. 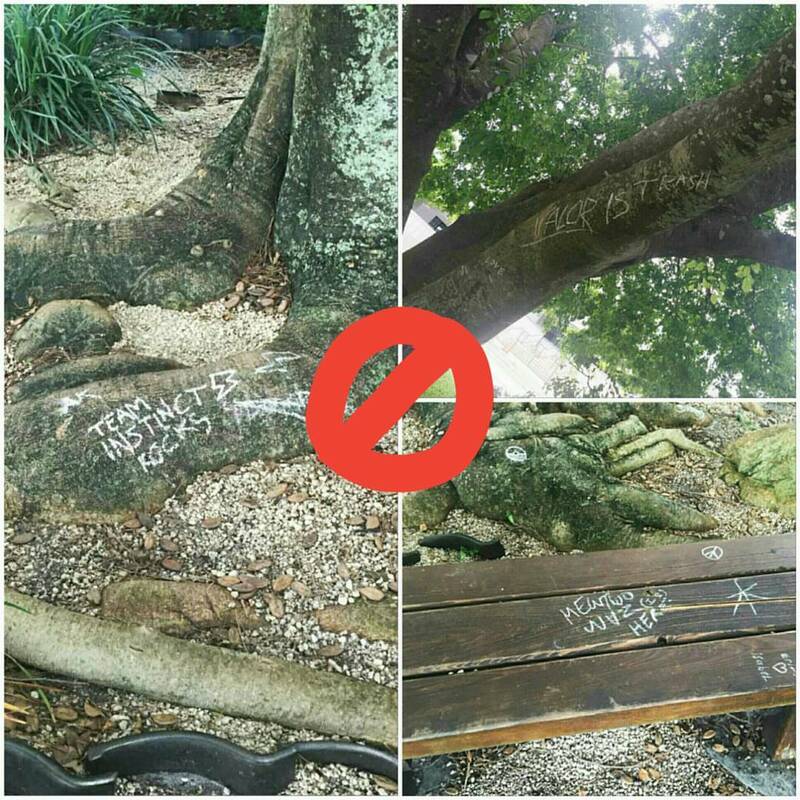 Roji-en at the Morikami Museum and Gardens in Delray Beach, Florida, immediately took to social media posting photographs of damage to trees and benches. Pleas were made for common sense as The Morikami set out a few ground rules. “Please be respectful of our property and natural resources. Stay on the designated paths at all times—absolutely no climbing on the trees! “No vandalism of any kind will be tolerated in the garden. “Please respect your fellow visitors, which includes refraining from disruptive behavior, such as running or yelling. Within a few hours of their post, The Morikami had more than 300 comments on Facebook. The perpetrators were located and apologies made. 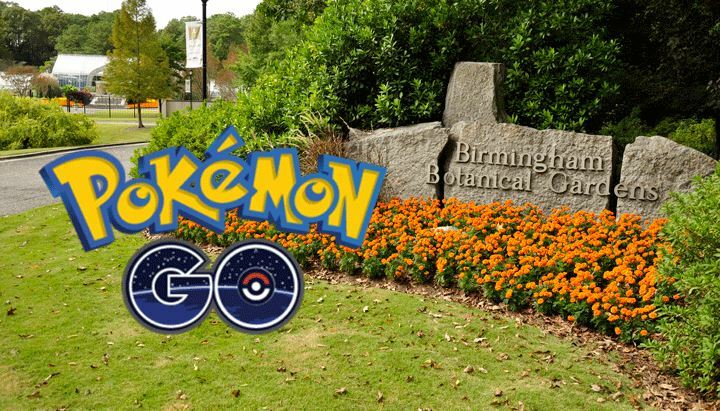 The Birmingham (Alabama) Botanical Gardenis having a “Catch ‘Em All” event in the gardens tomorrow (July 15). At the Frederik Meijer Gardens and Sculpture Park in Grand Rapids, Michigan, the game has obsessed players trespassing at night to gain more points. 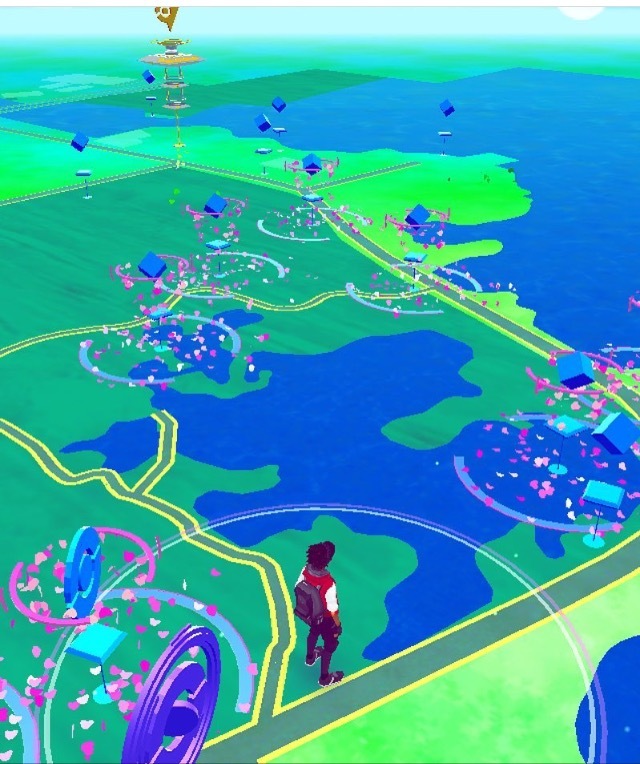 John VanderHaagen, public relations manager, said Meijer Gardens staff are thrilled that droves of Pokemon Go players are visiting the gardens, as long as it’s during regular hours. “We do encourage players to be aware of their surroundings and follow our basic rules of not touching the sculpture and staying on pathways and mowed lawn areas only,” he said in an email. In Hilo, the Hawaii Tribune-Herald ran a font page story today (July 14) that continued to the back page of the front section with many photos by Hollyn Johnson. Just yesterday George DeMello at Sig Zane Designs mentioned the invasion of Lili`uokalani Gardens. Nearby, Banyan Gallery owner Jelena Clay noted an influx of shoppers who were also seeking to capture points in the game. Have fun, be safe, and respect the gardens. A news story from Hawaii News Now published yesterday states that Niantic Inc., the developer of Pokemon Go, says it has corrected a mistake in the app. Users who checked in with iPhones through a Google account found that they were allowing full access to their account information. 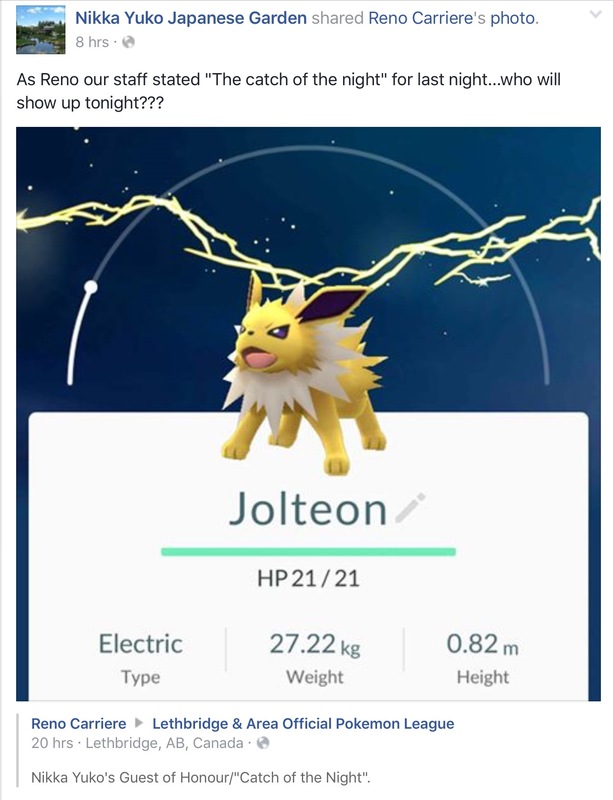 Niantic says the problem is fixed, but advises users to log out and download the update. Some gardens are making great use of the increased visitor count. 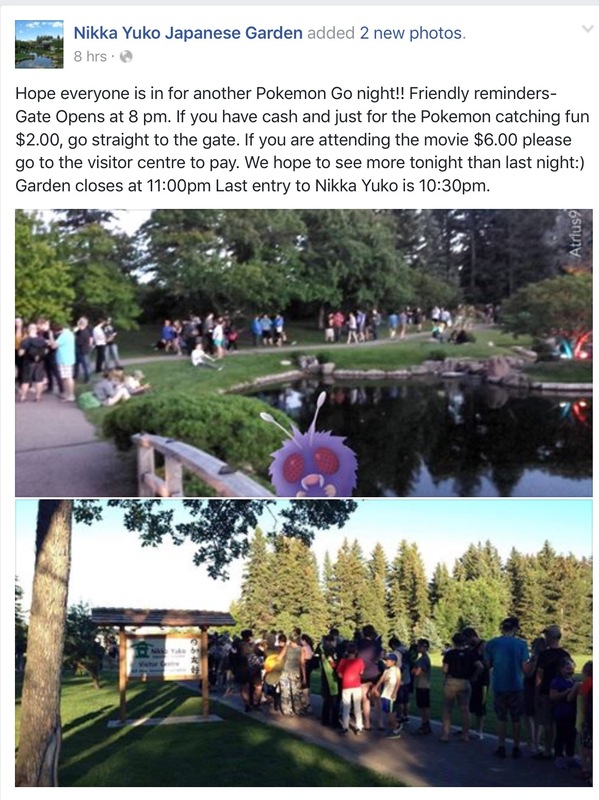 Nikka Yuko in Lethbridge, Alberta, Canada, has opened in the evening with two different ticket rates: one for those visiting the gardens and another for those wishing to see a movie also. On the same day Pokemon Go was released in Japan, Izumo Taisha — one of the oldest and most highly regarded Shinto shrines — announced a ban on drones and on playing Pokemon Go on its grounds and surroundings. Hiroshima’s Peace Park reports 30 Pokestops and 3 gyms were in and around an area considered sacred. The city of Hiroshima has asked Pokemon Go’s creators to remove the monsters before the August 6, the annual ceremony of the bombing. Pokemon Go continues to be the most popular outdoor video game. 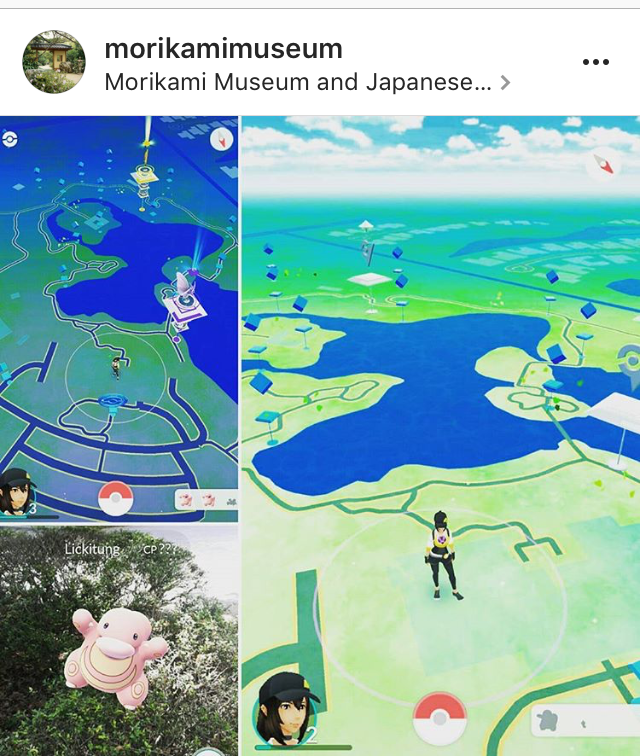 Recent postings on Instagram give maps to characters in The Morikami in Florida and in Lili`uokalani Gardens in Hilo.